Some states in America have legalized marijuana, but federal law still classifies it as an illegal "Schedule 1" drug on par with heroin. This conflict is an issue for USCIS officers evaluating N-400 Application for Naturalization applicants for good moral character (GMC). If an applicant is found to have legally used marijuana based on state law, should this impact their eligibility for immigration benefits? The answer to this question can determine whether an applicant is awarded or denied American citizenship. GMC is a criteria an applicant must fulfill in the N-400 Application for Naturalization. The law requires that the applicant must have demonstrated GMC during the past 5 years and the time leading up to the oath ceremony. Their past activities and conduct are scrutinized for any indication of poor moral behavior. Criminal behavior, convictions, and any admission of criminal acts can be be used to deem an applicant ineligible. The legal status of marijuana on the state level is what complicates GMC evaluation. Although legalized in 31 states and the District of Columbia, Marijuana is illegal under federal law. The legal standards including amount, form (smoked, infused pill and oils, etc. ), and distribution also differ depending on the state. The District of Columbia, Alaska, California, Colorado, Maine, Massachusetts, Michigan, Nevada, Oregon, Vermont and Washington have all legalized recreational use of marijuana. Some states allow marijuana use for medical reasons under certain conditions. Other states decriminalized marijuana use but did not legalize sale and distribution. Under the authority of the "supremacy clause" of the U.S. Constitution, federal law preempts any conflicting state laws. Accordingly, USCIS has released a policy guidance clarifying how officers should judge GMC in cases involving federally controlled substances, including marijuana. Any cultivation, distribution, manufacture, or possession of the drug would violate federal law. The guidance states that marijuana usage sets a bar for evaluation of moral character, regardless of state law. It maintains that federal law is still being violated. 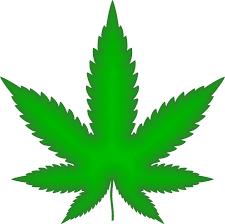 Applicants involved in marijuana-related activities can face immigration consequences, even if applicable local or even foreign laws do not criminalize them. Those planning to apply for naturalization should keep in mind that even if they are not breaking any laws at the time, marijuana-related activities can affect them years down the road. Unless the federal law is changed, immigration officers will continue to regard drug offenses involving marijuana as criminal violations that could cause denial of naturalization. In May, there are moderate advancements in the family visa categories. Family 3rd and 4th advance two months for Other Countries and China. Employment 1st Other Countries advance 3 months. Employment 1st India and China are unchanged. Employment 2nd China advances 2 months. Employment 2nd India is unchanged. Employment 3rd China and India are unchanged. One of the bright spot in employment categories is Employment 3rd Philippines, which jumps forward by 3 months to 10/1/2018. Compared to the family petitions, employment petitions are a better alternative for Filipino nationals to immigrate to the United States. Employers may petition for professionals or health care workers (nurses, technicians, home care aides, etc.) or other blue-collar workers from the Philippines a lot faster now. 1st: Unmarried Sons and Daughters of Citizens (about 23,400 per year). 2A: The 2 "A" preference is for Spouses and Children (under 21 & unmarried) of LPR's. 2B: The 2 "B" Preference is for Unmarried Sons and Daughters (21 or older) of LPR's. 2nd: Members of the Professions Holding Advanced Degrees or Persons of Exceptional Ability. USCIS announced that as of 04/10/2019, it had completed the H-1B visa lottery for FY 2020. 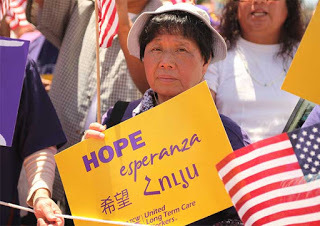 At the same time, USCIS also determined that the advanced visa cap of 20,000 had been reached. It means that USCIS will reject all subsequent cap-subject H-1B filings for this year. On 04/05/2019, USCIS already announced that the regular visa cap of 65,000 was reached. USCIS received 201,011 cap-subject H-1B petitions this year in total, compared to 190,098 in FY 2019 and 199,000 in FY 2018. It will take weeks and even months before visa applicants will receive notices regarding their cases. USCIS will issue formal filing receipt notices (Form I-797) to the petitioners of the selected cases first. The unselected cases will then be returned to petitioners gradually. H-1B Regular Visa Cap Reached for FY 2020! USCIS announced today that the regular cap of 65,000 for the FY 2020 H-1B Visa Program has been reached. Subsequently-filed applications will be rejected and returned. A visa lottery will be conducted to select the lucky applicants for further processing. Interestingly, according to USCIS, it has not yet determined whether the 20,000 advanced degree cap has been reached yet as of the afternoon of 4/5/2019. This is the last week that U.S. employers may submit an H-1B petition for a foreign worker to work for them in specialty occupation positions. H-1B applicants must compete for the limited pool of 65,000 visa numbers, plus 20,000 for U.S. advanced degree holders. If the number of H-1B petitions exceeds the upper limit of the visa cap, USCIS will use a computerized random selection process (visa lottery) to select cases for further processing. This year, the number of H-1B applications are expected to be exceptionally high due to the record-low unemployment rates. Hence, a visa lottery will most likely be used by USCIS to decide which cases to accept and which ones to reject. 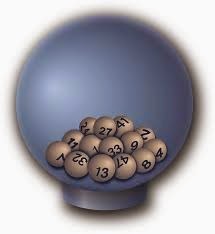 It will take at least several weeks or longer before applicants may find out the result of the lottery. Even after an H-1B petition was selected in the visa lottery, the applicant must still wait for the USCIS to review and make a decision on the application, which can take on average several months. Fortunately, for those who don't want to wait, they may request to use premium processing services to get a decision in two weeks. USCIS announced that starting May 20, 2019, the agency will resume premium processing services for FY 2020 cap-subject H-1B petitions requesting for a change of status. If an applicant has not made a request for premium processing yet, they may do so on May 20. This applies for H-1B applicants who are present in the U.S. in a legal status (e.g., F-1) and who have requested to change their status to H-1B within the U.S.
For other type of cases, premium processing will not be available until at least June 2019, according to USCIS. Usually this refers to applicants who plan to apply for an H-1B visa at an overseas American Consulate office (e.g., Shanghai, London, Mumbai, Chennai, etc.) in September before entering the U.S. to begin H-1B employment. Applicants who request for change of status are given preference because some of them will need to rely on the special "cap-gap" extension rules to continue staying or working in the United States legally during the summer. It is important to note that using premium processing services does not increase the chances for approval; it only guarantees that a decision will be made with 15 days. The decision could be a request for further evidence or even a denial. Furthermore, USCIS has also launched an online H-1B Employer Data Hub. The data hub contains information on employers petitioning for H-1B workers since FY 2009. The purpose for the data hub is to increase transparency in employment-based visa programs. Employer information such as NAICS code, employer name, city, state, and ZIP code will be available. The public will also be able to obtain statistics such as number of approvals and denials for a particular employer during a given year, etc. Copyright © Paul Szeto LLC. All Rights Reserved.. Theme images by luoman. Powered by Blogger.